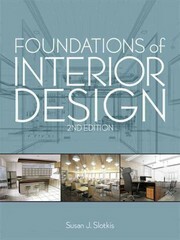 Foundations of Interior Design 2 Edition Foundations of Interior Design, 2nd Edition, is a comprehensive introduction to the creative, technical, and business knowledge required by the interior design profession. The book encompasses color theory, design history, architectural elements, finishing touches, trend forecasting, and the basics of running a business, and includes an integrated CD-ROM designed to help students apply what they learn in a hands-on fashion. This thoroughly updated 2nd edition, which addresses contemporary concerns such as sustainability, universal design, and adaptive reuse, is richly illustrated with images that reflect current trends in products and interiors. The book is rooted in a practical approach to creating safe, comfortable, and aesthetically pleasing spaces for residential and contract clients.